Some of our readers spoke up and asked us where they should go for a good manicure, pedicure or spa treatment. We heard your feedback and went to work. 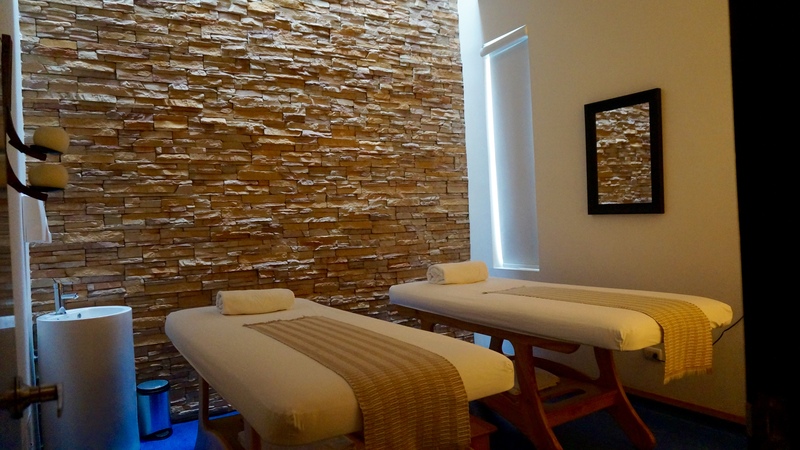 Here is our result: the BEST options for finding Spa and Beauty in Pereira. We have gathered a few carefully curated and recommended places, we tried them out and took a few pictures. 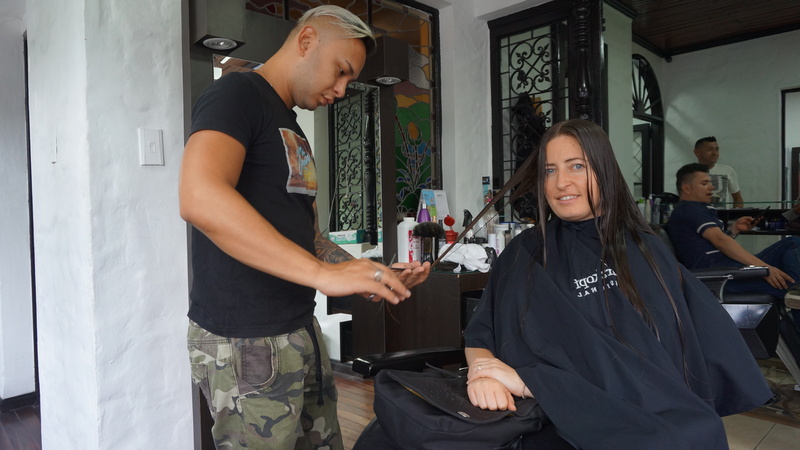 Initially, when working on this story, we were quite appalled when one place our editor received a recommendation for, the stylist never showed up for the appointment. The environment was not very nice either – no one offered her water, coffee or a warm welcome. And, so our brave and bold editor, had to simply walk out, and find someone who actually wanted to gain some new clients and exposure for their salon. C’est la vie! Like many of our other articles, we are going to continue to update this article over time to help maintain accuracy and authenticity. Be sure to leave a comment or send us an email (pereiracityguide@gmail.com) if you want to participate with your business, or recommend a business that would complement the article. Thanks! Glowing from our massages, we spent a lovely 10-15 minutes relaxing in their sauna. For a quieter, more upscale experience, we recommend the Movich Hotel Spa, on Avenida Circunvalar. Featuring facials, a nice variety of relaxing massage therapies including couples packages. Their offering is simple but customized to offer an range of options for each category. The products for the therapies use all-natural formulas with natural ingredients. There are also some special local therapies like bamboo massage or the popular volcanic rock massage. If you are visiting Pereira, but you aren’t staying at Movich, ask about their special Sunday pool package where visitors can come and use the pool, saunas, jacuzze, game room and exercise facilities as part of a Day Rate Package which also includes lunch, for 65,000 COP per person ~$20 USD. Our biggest passion on PereiraCityGuide.com is share unique experiences with our readers. We also work hard to support local businesses that deliver not just a high quality service, but also a high quality product too! And, I am pleased to say that I went and did my toe nails here. With polish which was made in Medellin – and which is designed not to dry my nails out, still breathe – but look absolutely GORGEOUS! Product Used: “Pure Chemistry: Cosmetico certificado inorganic natural, vegan y cruelty free” Made in Medellin, Colombia. This nail product is also available to purchase from Diana along with a line of locally made cremes, scrubs, shampoos and even foot scrubs which you are going to love! Diana Reina, is a woman who had been an employee all her life, and when the economy took a turn for the worse, she was laid off. That was when she decided to pursue her dream of having her own little business. Together with Tienda Savia, in their beautifully remodeled upstairs space, she is giving customers a unique and extra-caring experience. The cost is a bit higher, and the appointment might take a bit longer. But she spends extra time giving “by the book” foot massages. “Many manicurists don’t want to spend that extra time caring for their clients, nor are they paid enough to. 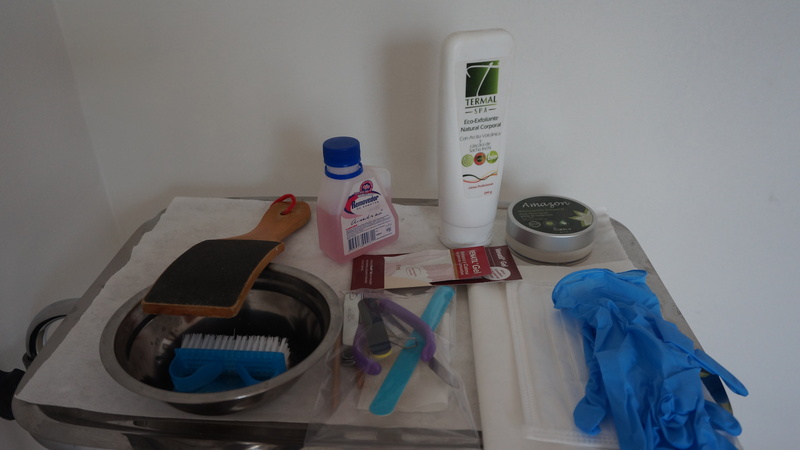 I wanted to give my customers something special, plus something that is essential for good foot health.” says Diana. Probably the most well-kept secret of Pereira – is the presence of this next spa options: Thai Massage. Angela Toccalino, formerly of Canada, is a fully certified massage therapist in Canada with a special residency experience on-site in Thailand, where she studied the cultural origins and mastery of the technique. Visits start at 100,000 COP for her to travel to your home or hotel. Call for special discounted rates if you visit her massage studio only 15 minutes from el Centro Pereira by taxi. They offer full hair and nail service for men and women. A multilayer for men 14,000 COP, ~ $4.50 and women’s cuts starting at 20,000, ~ $6.50). We found their prices to be extremely reasonable, and their stylists friendly. Upon agreement about my treatment, I was taken back to wash my hair. The attendant asked if I wanted water, tea or coffee and what temperature of water I prefer. Next I was taken for my cut, blow out and style. Total cost: 30,000 COP (~$10 USD). Darwin, the stylist who did my hair was very polite and non-intrusive yet friendly whenever I asked him questions. He understood what I wanted to do and gave me his best. The chair was comfortable and the end result beautiful! 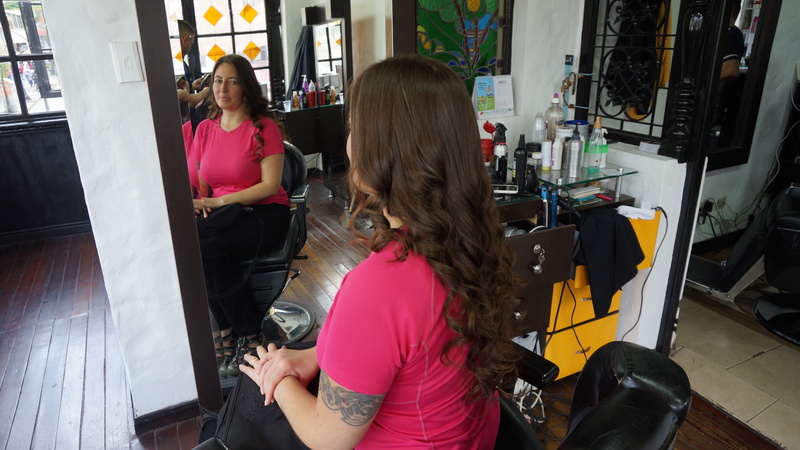 Definitely one of my best hair-cutting experiences with Spa and Beauty in Pereira. Pereira is a small city and it may sometimes seem that the options are a bit limited. While there are many spa and beauty options in Pereira, these are a few that we found which stood out to us. Each one has been vetted by a personal visit and experience with the mentioned services. If you found this list helpful, be sure to LIKE our Facebook page, SHARE it with all your friends, and COMMENT to let us know how your experience was! Thanks! If you know of a spa/salon which deserves to be on this list just leave a comment, or have them contact us via our email – pereiracityguide@gmail.com to learn how they can participate.